Picking up at some venues around Denver can be challenging. Take a look at our tips and tricks for picking up at some of Denver's largest venues to maxiimze your time on the road! Lyft is the official rideshare partner of Red Rocks! 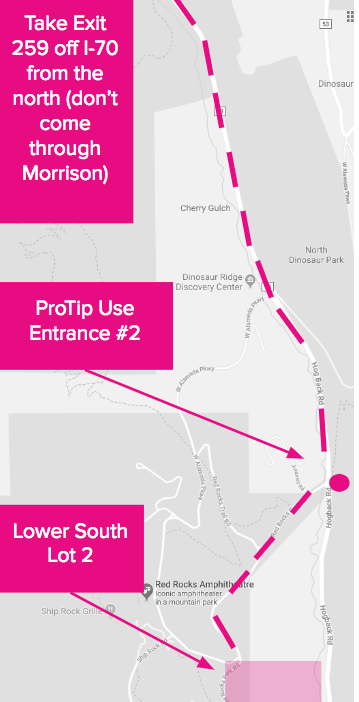 To pickup at Red Rocks always use Entrance 2 (after you exit 259 from I-70) and head to the Lower South Lot 2. Follow the instructions into the lot to wait for your rides. Once you pull into the lot, you'll be added into the queue. Passenger cancellations don't affect your place in line. If your passenger cancels on you, stay in Lower South Lot 2. As long as you remain there, you'll be placed at the front of the queue. Post game & event pickups will occur in the Tundra lot. 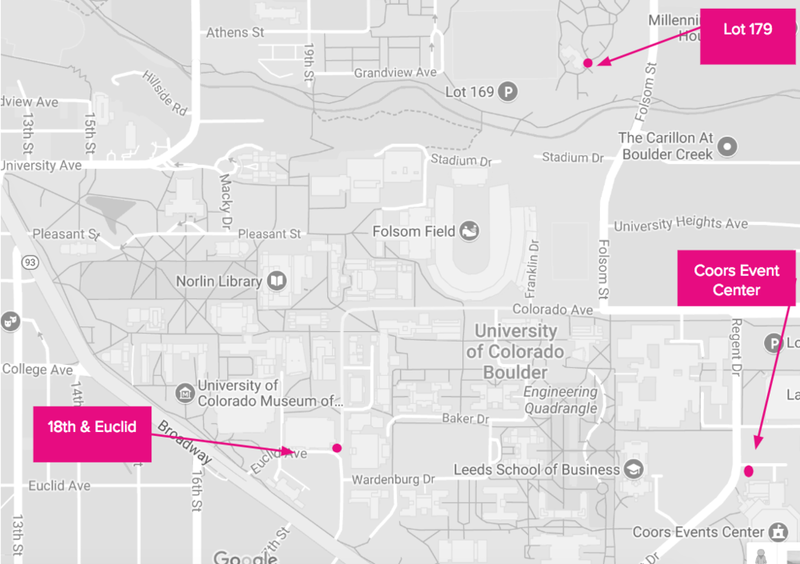 The best route into the lot is via Speer & Chopper Circle or 12th and Auraria. All pickups must occur in the Tundra Lot. For your passenger’s safety, do not ask them to walk outside of this area to pick them up. The Gaylord Rockies opens on 12/18/18. Drop-offs occur at the main entrance of the resort. Follow signs for main entrance to drop off passengers. Pick-ups occur at the Transportation Lobby just to the southeast of the main entrance. There is a designated waiting lot for drivers to park if while waiting for a ride. The lot is located immediately to the right of the entrance off 64th. This is a FREE lot, drivers do not have to pay to wait in the lot. There currently is not a queue at the lot, but it is the closest spot rideshare drivers can wait for rides. Please do not park on any other areas of the Gaylord property. 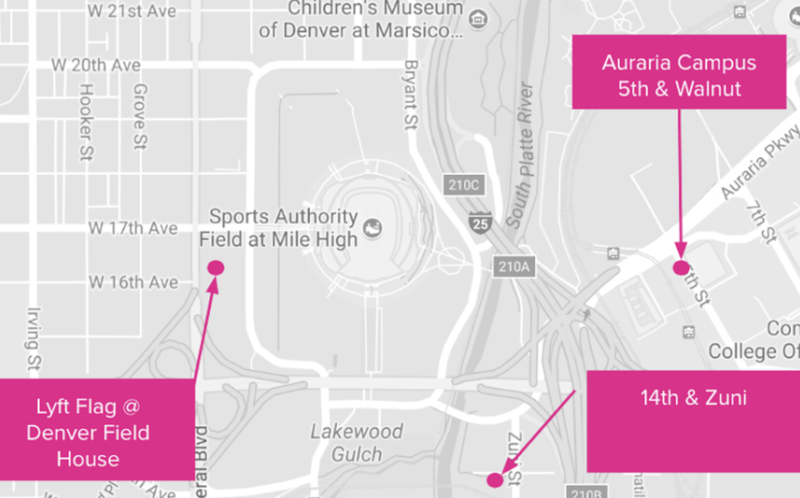 To pick up at Mile High Stadium, head towards 16th & Federal (Denver Field House) or your own Lyft driver Hub at 1401 Zuni. We will have limited parking spots for you to wait at the Denver hub. Be ready for rides starting at the 4th quarter. Be patient and call your passenger to help guide them to the right pick up locations. Keep water in your car, football fans will need it after 4 quarters of cheering for their team! There are 3 designated pickups at Folsom Field. On the north side, Lot 179 just south of Arapahoe. On the south side, 18th & Euclid. On the West side, Macky circle.